Once we got back to Southern California we wanted to spend a few days in an RV park to ease our transition back to “living on land”. There aren’t too many RV parks in the South Bay area near Torrance. 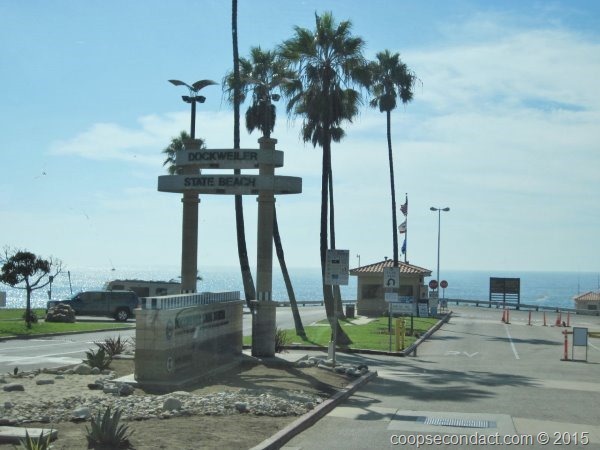 One of the few is Dockweiler State Beach RV Park. It is located right on the beach in El Segundo between Manhattan Beach and Marina del Rey. From a weather standpoint our timing was not very good. We managed to hit a streak of hot and humid weather, something rarely seen at the beach in this part of Southern California. Still we were able to make use of the bike path that runs all along this portion of the coast. From here, we arranged for a parking place in a storage lot where we can stash the motorhome during our time visiting with family and friends.